With the introduction of X1, SRAM brings their popular 1x11 speed drivetrain to the masses. 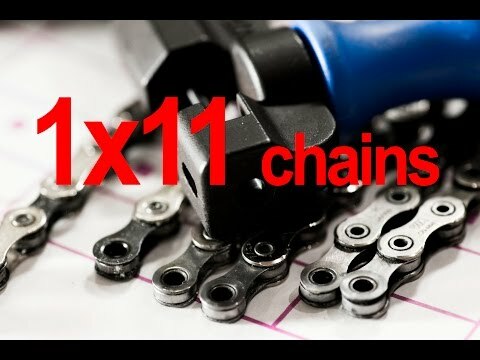 X1 uses much of the same technology of X01 and XX1 with more price-conscious material choices.The PC-X1 chain comes from a long line of dependable, lightweight chains that are built for toughness. Designed with SRAM’s trusted XX1 geometry, the PC-X1 features solid pin construction, 11-speed PowerLock and smooth, efficient shifting that you can count on every time out. I upgraded my fatbike from 1x10 (X9 shifter and derailleur) using the GX 1x11 rear derailleur, X1 Shifter, M8000 XT 11-42 cassette, and PCX1 chain. Installation was straight forward, and shifting is butter smooth across all 11 including the jump from 37-42 under power. A great combo for those wanting 11sp. The chain is, well a quality chain with not much more to say other than it shifts well, the power-link is easy to use, and seems durable enough. I have tried a few options for the new 11 speed 1x drivetrains and in my experience the SRAM 11 speed works the best. Not as durable as KMC in my experience but worth it for the better chain retention on the biggest cogs. Running this on a shimano cassette and chainring. SRAM is much easier to size and maintain due to the quick link versus a shimano chain which requires you to press in a link pin. What can I say. Its a chain. Works well and seem to last as long as others I had. I have always used Sram chains because they are the strongest! Amazing durability. After three hard seasons I needed to replace it with the same model. Granted, I cleaned and lubed (Rock-n-Roll Blue) it every other, if not each, ride. The powerlink connector is simple, strong and never failed. SRAM has this one down! Fantastic chain, just make sure you put it on right otherwise you'll risk breaking it as soon as you ride it. But other than my human mistakes the chain is great quality, and very smooth. It's the perfect chain for Sram drive trains. This will be my second PC-X1 chain. I am replacing for maintenance. If I was not looking to prolong my gear life it would probably last way longer. The chain works well as its intended. I have zero complains. Great chain, great price for my up grade! Excellent chain!!! Excellent price! I would buy this product again and again! This chain has done me well. It was easy to install and came with enough extra length that I made a little keychain out of it :) Not so expensive now that 12x is all the rage. Bought as a replacement chain. Previous chain (same model) has several years and several thousand miles on it. Only replacing because I am swapping drivetrain parts around for a 1 x 11 conversion on my fatbike and want everything to wear evenly. I like the fact that he has a MasterLink that allows me to adjust the tension on my D Rehler. It is a good performing chain that will take the punishment of cross country Sports and more. A mid priced chain and a great price. What more can you ask for. I change my chain every 4-5 months and this one is perfect. I would highly recommend due to cost of the other models. I find the SRAM Pc-X1 chain to be strong and reliable. It just works. Love the quick disconnect for cleaning and assembly. Used this chain with my Shimano XT M8000 derailleur and it works excellent. Like the power link, can't go wrong! My favorite chain. Shifts smoothly and wears nicely. I finally made the jump to 11 speed on my MTB. I picked this chain because it was a reasonably priced option, and since I don't race, I wasn't concerned about the gram counting difference for the much more expensive option. I expect durability will be as good on this chain as the more expensive one, and shifting performance is great. No need to break the bank to get a good ride. Great product for a fraction of the price of the XX1 chain. I have tested both and the XX1 is only marginally better than the X1. It might not last as long, but even if you buy two you are still saving $. This is a no brainer. Sram 11 speed chains always work great. Smooth shifting and durable. Works with my shimano XT 1x11 setup. You can't beat the value in this chain. Its inexpensive, strong, and relatively lightweight. You don't gain much by spending more money on a more expensive chain. Good bang for ur buck! Good quality and not too expensive! 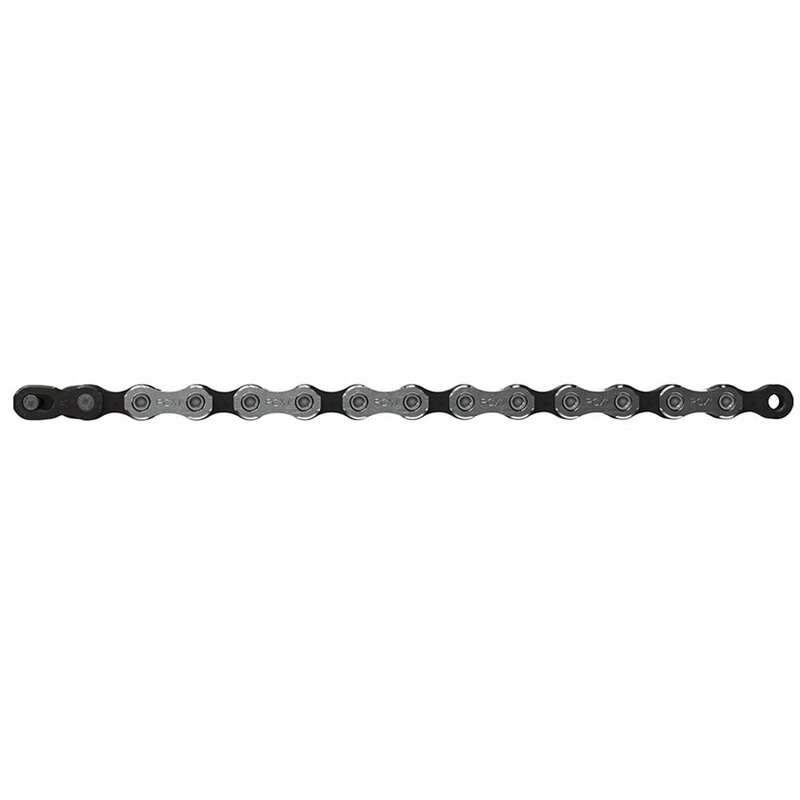 A Good chain for 11 speed set up that will not brake the bank ! Works and installs just like any other sram chain. I'm a fan, and looking forward to beating this thing to death! Nice light chain. In my opinion better than more expensive model. Works well with 1x11 shimano setup. Delivered quickly and without issue. I have a sram GX 1x11 grouppo and used this to replace my worn out GX chain. Shifting is flawless as expected, and even when the bike was caught out in a rain storm the chain didn't show signs of surface rust. I have about 1000 miles on the chain so far and still within wear. This thing is less prone to dropping down the cassette when pedaling backwards than other brands. Solid chain that I will continue to buy to keep drive train wear to a minimum. What can I say? It's a chain. If you're looking to upgrade to 11 speed on a budget then look no further. Replaced my chain with same after a year of use, although there wasn't a whole lot of stretch. I figure this is a cheap way to delay replacing the chain ring and cassette. 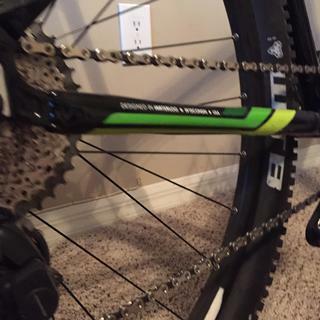 This chain shifts nice and quick, I love SRAM chains and the price was great too. Like the quick link. Thinking maybe sram maybe a better chain than Shimono time will tell. Can I use this chain instead of the SRAM PC-XX1 chain with an XX1 drivetrain? I don't care about the weight but the cost difference is pretty large. Hi will this work well with my 11sp XT 11-46 cassette ? BEST ANSWER: You betcha! It'll fit like a glove. Keep it clean and lubed and it'll last and last. No, you should buy a Shimano chain for XT cassette and ring(s) with an 11sp. Yes, Sram and Shimano cassettes and chains are compatible. Will a standard chain work with a narrow-wide chain ring or would one need a chain specially made for a narrow-wide ring? BEST ANSWER: You don't need a special chain for use with NW-ring. I bought this chain along with a face face narrow wide ring and it has worked just fine. Hello, works perfectly with the 11V narrow-wide ring. Is this chain strong enough to run on an ebike?